How does the Potter author really feel after recent accusations levelled at the actor? Earlier today, JK Rowling posted a statement on her website which finally addressed how she feels regarding the decision to continue with Johnny Depp cast as a major role in her wizarding world. 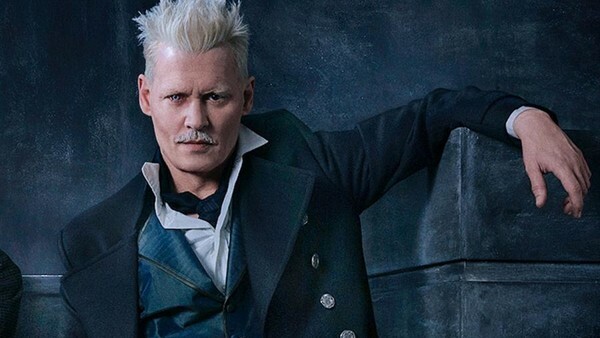 Some fans have protested boycotting the Fantastic Beasts And Where To Find Them sequel if Depp reprises his role as Gellert Grindelwald. The controversy stems from accusations his ex-wife Amber Heard laid out, proclaiming that allegedly Depp was "verbally and physically abusive" during their marriage. Depp has denied this, declaring her accusations "salacious false stories, gossip, misinformation and lies." Until now, Rowling has remained silent on the subject but did today acknowledge that the reports “deeply concerned” her and others behind the production, and that she and director David Yates did indeed consider recasting Depp’s role. Warner Bros. said it supported the decision in its own statement, and director David Yates has previously spoken out in support of Depp reprising the role. Fantastic Beasts 2 - officially titled Fantastic Beasts: The Crimes of Grindelwald is due for release November 16, 2018.